Bravely Default owned by Square Enix. There are two ways to reach Dark Aurora. The first is to break a crystal while awakening it. The second is to awaken the four crystals a collective twenty times. Both methods lead to the same dungeon, though the battles you face at the end of said dungeon are very different. -1F! Yay. Head west of the entrance. At the first bend you'll find a chest containing a Safety Ring. Continue south. - Run all the way west on the next path, past the teleporter. You'll find a Megalixir. Then hop on the teleporter. - 2F. Run south to a four-way split. East is a Life Ring; west is a Lamia's Tiara; southwest is a Black Belt. Southwest and southeast join up at the same teleporter. - 3F. Two chests immediately south; one contains a Megalixir, the other a Heart Ring. Travel east. - The path bends west, and a teleporter is immediately head. Hop on it to ump to a chest containing a Blood Blade. - Return to the previous screen and hop on the teleporter to the south. - 6F. Run all the way south to find Lordly Robes. Hop on the teleporter to your left. - 4F. South and to your right is a Gold Hairpin. - Continue south. The path will wind east to a small split. Go right for a Ribbon, then take a left. Teleporter ho! - 7F. Robed save dude?! You crazy? Get in one final use of everyone's favourite dungeon-dweller, then follow the path west to your ultimate destiny. A teleporter awaits. - Ascend the steps and face down your one-time friend. She asked for this! For all the buildup, this initial Airy battle is not so tough - though don't believe it to be incredibly easy, either. Airy doesn't do a ton of damage with her attacks, either using physical hits to do moderate damage or smacking you around with the all-hitting (and considerably more powerful) Slaughter, which may also inflict poison. She can also inflict Stop on all of your characters, which can prove very dangerous if she's building up to Slaughter; make sure at least your healer is protected from stop status. She'll also cart out Spike Guard on occasion, which will cause Airy to counterattack if you dare attack while it's up. Whittle Airy down with your strongest attacks, healing consistenly. Not much else to it, really, though fire works to your advantage if you cart it out to fry the fairy. - Thought you were done? Nope. Airy's just gettin' started. Now that's more like it. Airy is much more dangerous in this form, utilizing a vast array of magical attacks to beat you down. Quaga, Flare, Aeroga, Dark, Thundaga... all will hit your whole team, and all will hurt pretty badly. This is especially true if Airy uses Acedia, which lowers your elemental resistance to everything, and makes it stick. Airy will also toss in Irritate, which inflicts berserk, and Luxuria, hitting everyone with charm. Both are very irritating. This is a lengthy battle, but not impossible by any stretch. The key here is to counter Airy's Acedia attacks immediately, as they allow her next attack to wipe out your HP. There are a few ways to do this, but my favourite is to immediately counter with the Spiritualist move Greater Spirit Ward. This will not only wipe out the weaknesses, it will make your characters more resilient for a few turns. Watch out for Acedia and counter it immediately. The same goes for the other status ailments - Luxuria is quite annoying when it hits more than one person at a time. Other than that? Just wail on her. Seriously. Airy's defences aren't that great, and she's still weak to fire attacks. Target this weakness and exploit it until she goes down. She'll rejuvenate her HP count halfway through the battle, effectively forcing you to fight her twice, but you can manage. Have faith! And that's the end of the game! Enjoy the credits! You can also now equip the Vestal Garb on Agnès, if you like that look. ... and now for the real ending. If you took the long route through the game, you'll face these battles instead. They are much harder, particularly this first one. The ultimate form of Airy! Ultimate indeed, too - this batte's actually really hard. Airy is magic-heavy in this form, relying on a series of all-hitting attacks to maul you. Her primary weapon on most rounds is Zeta Flare, which hits everyone for intense fire damage. She'll make this worse with Acedia to lower your resistance to fire, which will typically wind up as a Game Over unless you're not in Default mode. If Airy goes Default, be ready - she's about to pair Acedia with Zeta Flare. Default everybody and hold on tight. Occasionally she'll also use Slaughter, hitting everyone for significant amounts of damage and potentially inflicting poison. She can also hit the whole party with dread, which is really irritating if you're looking to use Default on your next turn, and her Plague attack has a low chance of killing your members outright. Quite a repertoire, all told, and you'll be very happy if she decides to just smack you normally on a turn instead. You need to be very careful in this fight not to stretch your BP too far, but to still inflict lots of damage on Airy. Try not to expend more than two BP at a time, if you can, so you have extra left over in case you need to bust out items. Greater Spirit Ward is pretty much a necessity for dispelling the weakening effect caused by Acedia, but don't use it until Acedia comes into play - otherwise you'll be drained of BP, and your healer (likely your healer, anyway) will be unavailable for healing. Airy does so much damage that Curada or Curaga every turn is a very wise idea. As far as damage goes, don't hold back. Bring out moves that will deal big heaps of damage in a single strike, if you can. Airy's defensively poor, and though she has a lot of HP you can whittle through it rather quickly. As with the previous battles, she's weak to fire. Try to take advantage of that when equipping or otherwise empowering your characters. - After Airy bites the dust - take that, stupid fairy! - you'll regain control of your characters. I recommend heading back to robed save dude and saving your progress before climbing the stairs ahead. Seriously. - Cut scene ahead. Prepare for the final battle! The final battle! Though Ouroboros starts off as a reflection of Tiz and is quite a pushover, he doesn't stay that way. Pretty soon he takes on his true form, that of a beast from beyond the stars. Let's do it! Ouroboros' first phase is kind of all-or-nothing. Ouroboros uses instant kill attacks that either hit or miss. He also regenerates damage every turn. Don't hold back here - you just need to do a significant amount of damage in one turn to trigger a cut scene. Don't neglect healing, though, as your health carries over from one scene to the next. Second phase. Regeneration is gone; otherwise, it's pretty similar to before. Ouroboros likes to one hit kill. He'll also use a move called Demonic Touch periodically which will reduce everyone's BP by one, and Celestial Touch to increase his magic attack. Annoying. Same deal applies: rip into Ouroboros with everything you've got. Third phase. Ouroboros keeps his former moves, uses instant killing less often, and introduces a move called Armageddon. Every time you do enough damage, he'll immediately retaliate with this all-hitting move which is very painful. For this reason I suggest hitting with one character while your others hold back and Default to avoid being killed. Heal and repeat until he uses Armageddon three times. Fourth, final phase. Now the real battle. Ouroboros gains two new attacks. The first, Divergence, will block one of your characters from doing anything other than Defaulting or summoning friends. The other, Disaster, is similar to Armageddon. It just plain hurts everyone. Nevertheless, if you beat Airy you can beat this. Keep one person at Default on each turn to prevent Disaster from killing (it has no real tell, from what I've seen) and keep using the same strategies on Ouroboros. Magic, physical hits, whatever works to bring him down. He has a lot of HP, but if you've gotten this far you can make it the whole way. Woot! You've beaten the game! 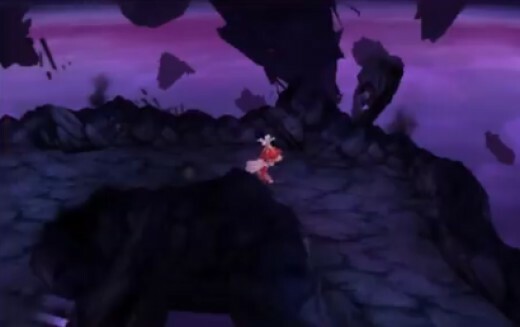 Sit back and enjoy the true ending of Bravely Default - and the cool preview of the sequel that follows...!